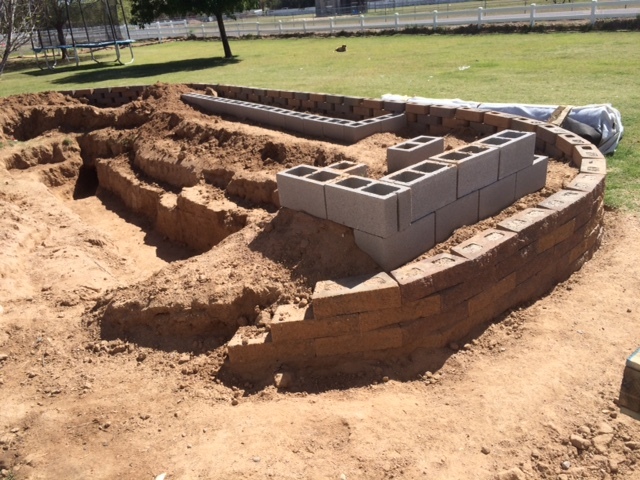 The aquaponics Koi pond is progressing . . . slowly. I could get so much more done if people didn’t get sick and have to be seen. Although, I’d be out of a job. 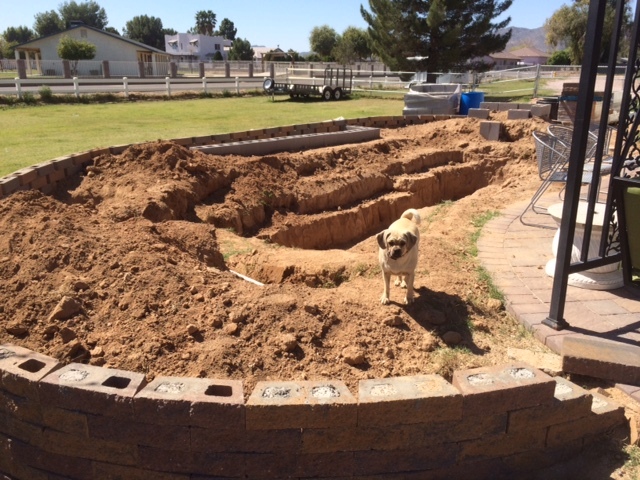 I coaxed my son into helping me with the concrete. 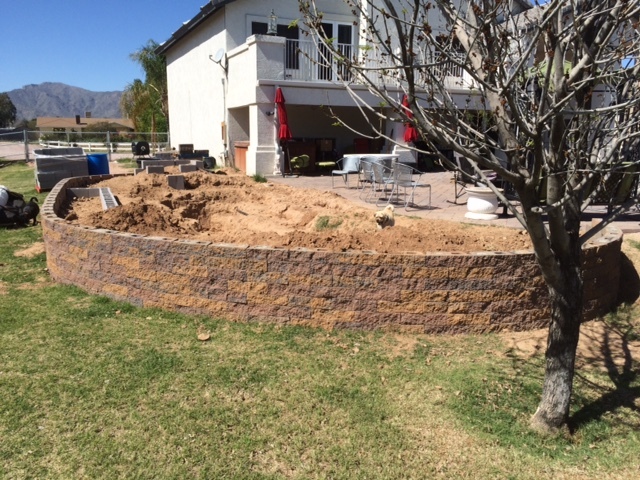 We placed and poured the concrete into the retaining wall. 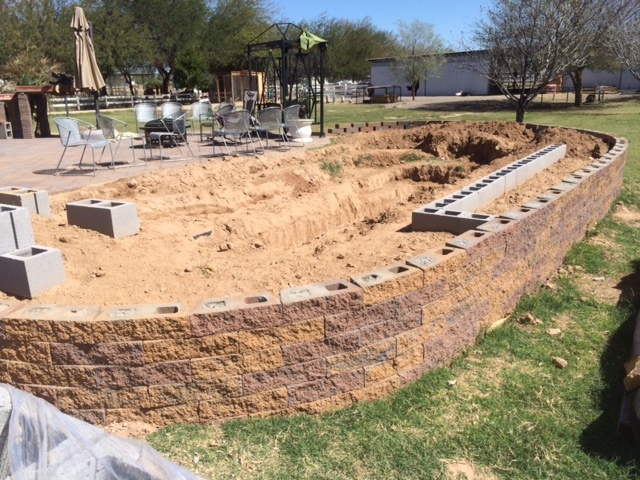 I started pre-setting the cinder-block for the waterfall and the grow bed. We used re-bar and concrete and it worked quite nicely. The boss was pleased. 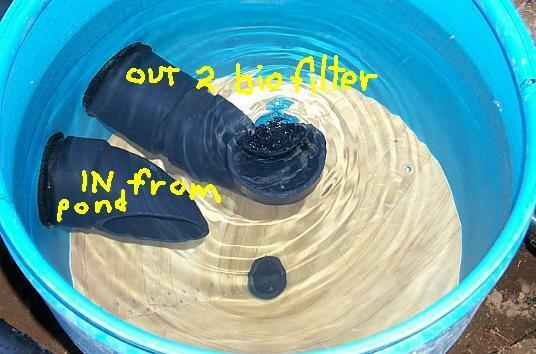 Because we have ducks, I am afraid there will be no way to keep them out of the pond, so I need to add a swirl filter for the heavy waste that will come out of the bottom drain. I did a great deal of reading and I think a simple design like this one from http://koi-bito.com will work. I dug the swirl filter location out yesterday and purchased a nice new 55 gallon drum and have my hole saw at the ready. The dogs have been helping as much as they can. They are on 24/7 gopher duty. They’ve also been helping to keep my level floor less than level by digging holes and burring bones while I’m at work. Next step is to place the swirl filter and the skimmer and set the water level. Who knows, maybe I’ll have my liner in by next week. We’ll see. Have a great weekend. I live in the Sonoran Desert. It’s the only place in the world that gets hot enough to feed the chickens ice cubes for pre-boiled eggs. It is a true desert, and the summer time can be very hot (up to 120 degrees Fahrenheit). However, I find it to be a very beautiful place to live throughout the year. Much of this beauty can only be seen on horseback. 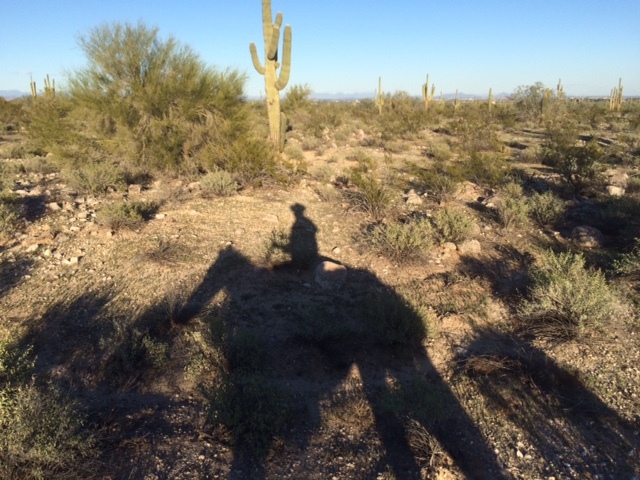 The Maricopa Trail, a horse trail that circles Maricopa County, skirts along the base of the White Tank Mountains on the West side of the Phoenix Valley, here in Arizona. 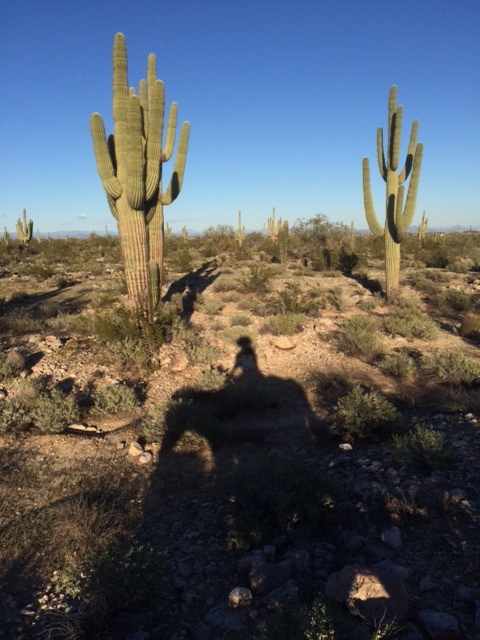 There is a part of the trail that is decorated with some of the most beautiful Saguaro Cactus in the world. These cacti are between 100-200 years old and are some of the most majestic desert plants you will ever see. I had a chance to snap a couple of photos while on horseback this evening. It takes over 10 years for a Saguaro Cactus to get over 2 inches tall and takes up to 75 years for them to reach 14-16 feet in height. These cacti are probably 150-200 years old. The amazing thing is that their root system is only 4-6 inches below the surface, yet spans out a radial distance equal to the height all the way around the base of the cactus. It amazes me that the desert seems to share a different story with you each time you venture into it. The old settlers of Arizona, many of my ancestors, told it like it was, rough and rocky. They named their towns Rimrock, Rough Rock, Round Rock, and Wide Ruins, Skull Valley, Bitter Springs, Wolf Hole, Tombstone. It’s a tough country. The names of Arizona towns tell you much of what you need to know. 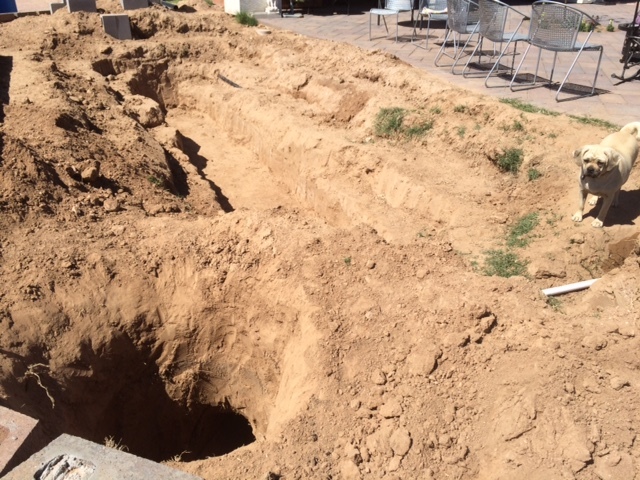 But what really makes this desert beautiful, is that this rough and rocky exterior hides a number of beautiful wells. It is a land of extremes, a land of contrasts, a land of surprises and a land of contradictions…. That is the Sonoran Desert and that is what decorates Arizona.